I don’t even know where to start… but this year I’m blessed to have the opportunity to attend fashion week not only in New York but also in London and Paris! But exploring ready-to-wear collections from world’s fashion capitals was not the only thing I had on my agenda. Since it’s the first time for me and my boyfriend Ben to visit England and France, we planned our schedules not too tight with fashion events so we could immerse ourselves into exploring all the cultural stuff. 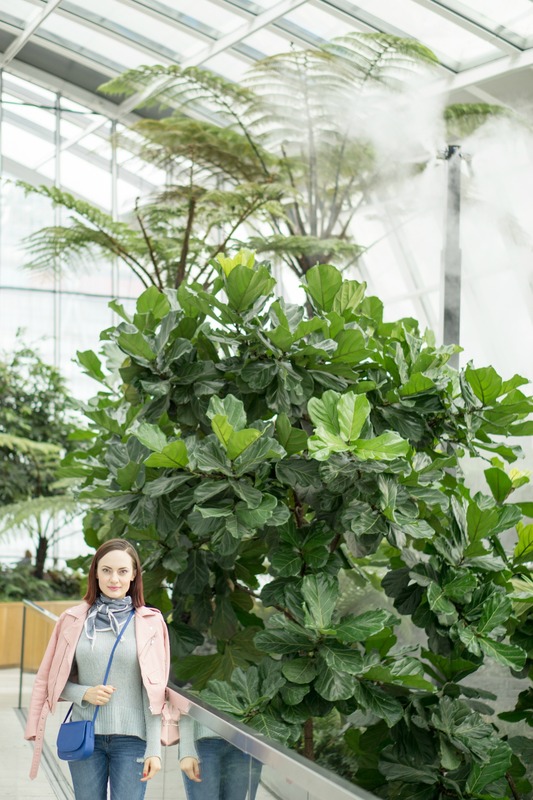 You’ll be surprised how many fun activities we packed in our five days’ vacation in London and hopefully would be able to take some notes if you are planning on visiting this city sometime soon. When your jet lag outfit matches the artwork at the Tate Modern Museum! Our trip to London started on a… sleepy side! I was thinking that it would be a time-saving idea to take an overnight flight so we leave on Thursday night and come to London at noon on Friday. As it turned out, it was the worst idea ever! The “red eye” flight might be great if you are traveling first class, but I struggled to fall asleep all night long and was extremely sleepy (and cranky!) when we arrived to the U.K. Even though our sleeping pattern was ruined, we decided to stay strong and make it through the day and get some jet-lag therapy at the modern art museum, Tate Modern. It’s a beautiful building with lots of famous pieces that are mixed in with the works of the contemporary artists. 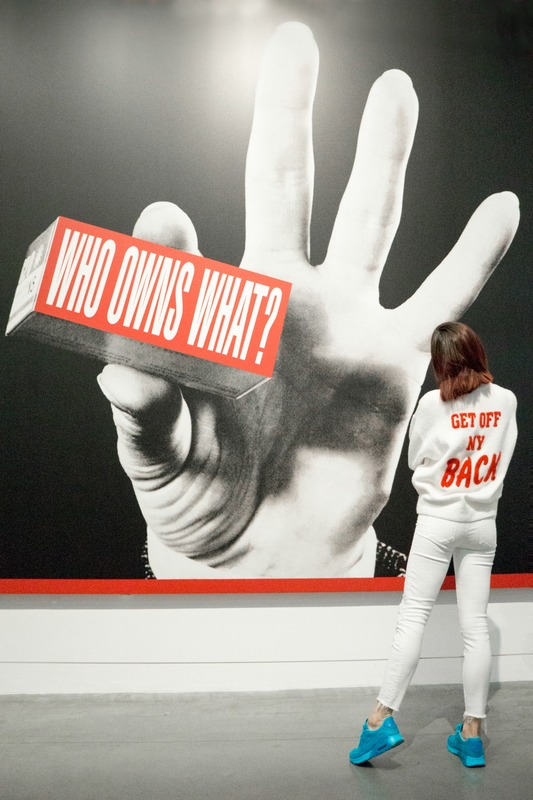 We were surprised to learn that there is no fee to attend the museum and with a number of young hip people wandering around and educating themselves. Another interesting discovery is that there is a restaurant on the 9th floor of the Tate Modern that gives you a great view of the city. 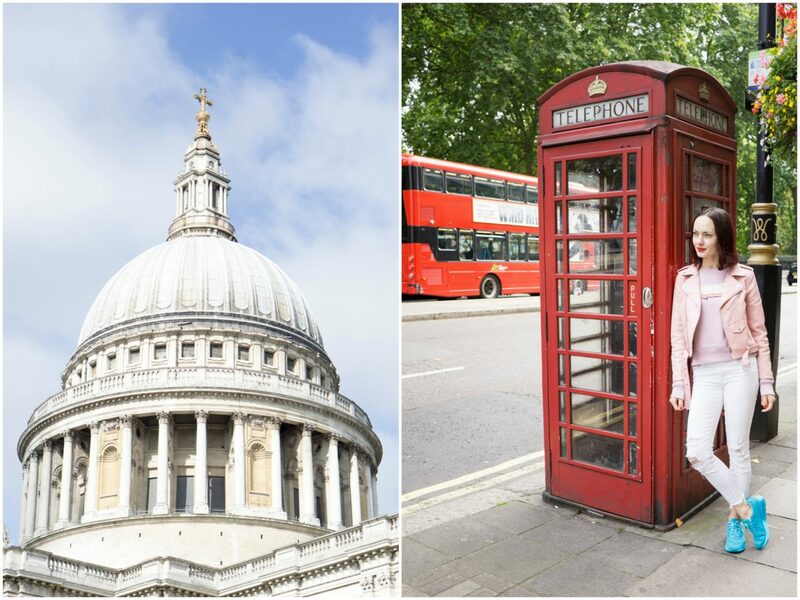 Most of the iconic red telephone booths in London actually offer free Wi-Fi connection! I see double-decker buses in New York all the time, but I never thought taking one of those myself. Honestly speaking, I was thinking that bus tours are lame, but after an hour or so of touring the city on the rooftop of the guided bus, I completely changed my mind. Now I know that bus tours are great for exploring a lot of new information about the new city and getting an idea what is located where in a short period of time. View on the Oblix Restaurant tower from the restaurant at the Tate Modern Museum. After the tour, we walked on the Piccadilly street and part of Soho and headed home to change. For dinner, we booked a tiny Parisian restaurant with a great wine selection and went out for drinks to the trendy Oblix Restaurant. 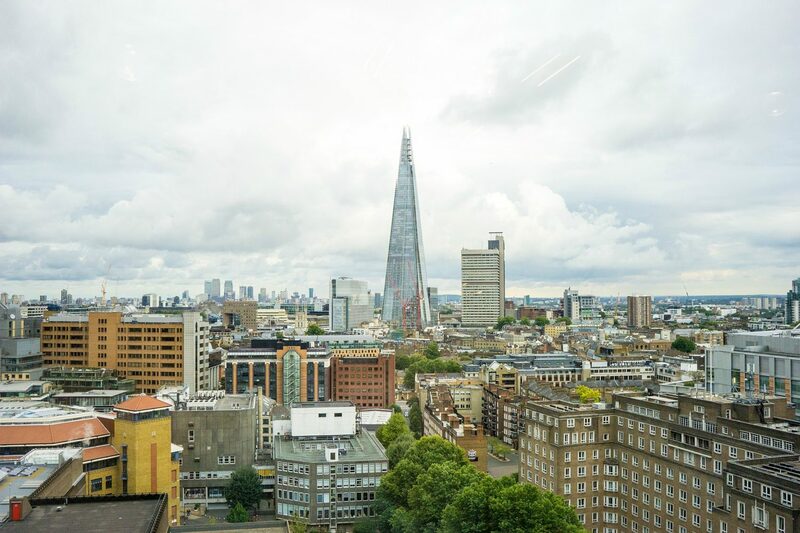 Located on the 32nd floor of the pointy-looking sky-scraper, it’s a must-visit spot for a social scenery and a breathtaking view of the nighttime London. 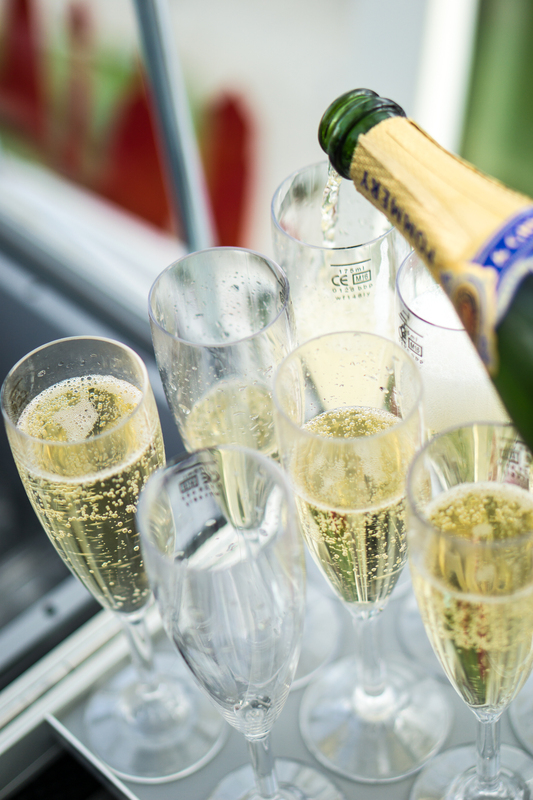 Champagne with the best view of London. 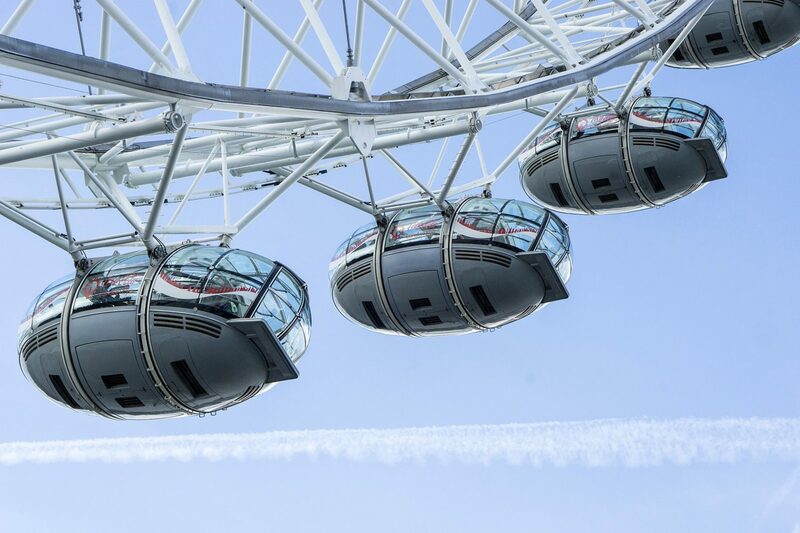 London Eye Tour is totally worth the hype! From all the London activities, the London Eye tour was the most impressive. Imagine a giant Ferris wheel that is located on the River Thames. The cabin you are sharing with a few other people is completely transparent so you could observe the entire city from far above. 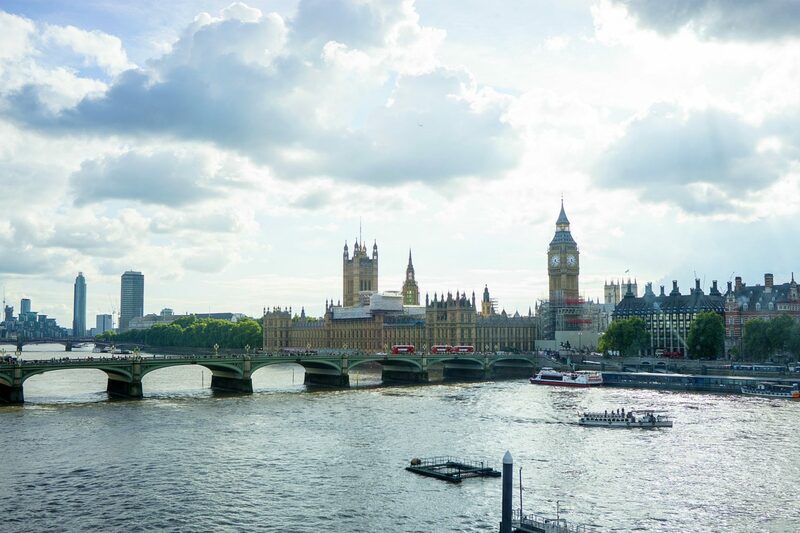 Big Ben, Westminster Abbey, Buckingham Palace, St. Paul’s Cathedral and much more of the London landmarks are all here for you to photograph and always remember. My personal recommendation is to order your tickets online (and you don’t even need to do it in advance). The line for standard ticket holders is insane and it’s easy to avoid if you pick a Champagne tour. 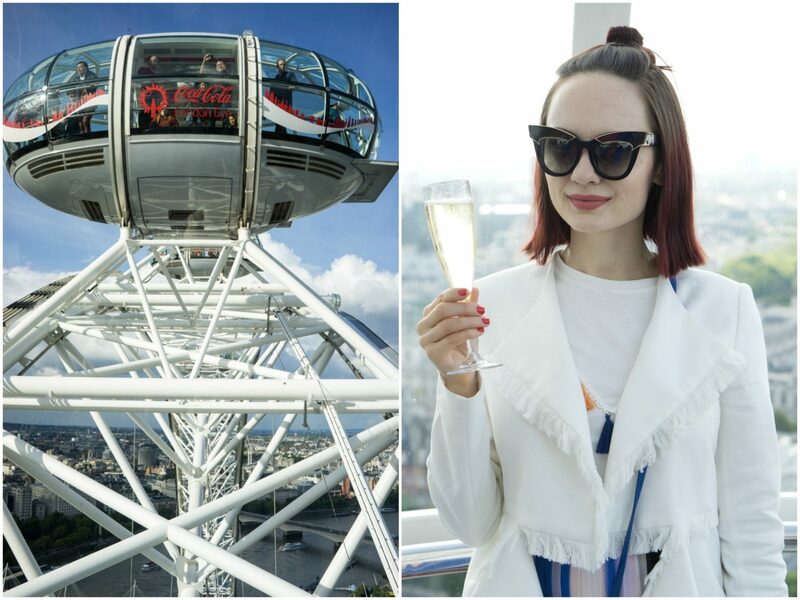 Think: enjoying a VIP lounge prior to the ride and sipping champagne on top of the London — it’s so worth it! After the London Eye tour, we took a cab to Selfridges. As it turned out, most of the department stores are closing around 6:00 pm so we didn’t have much time for shopping and ended up enjoying delicious Thai food at the cozy Rosa’s Thai Cafe. 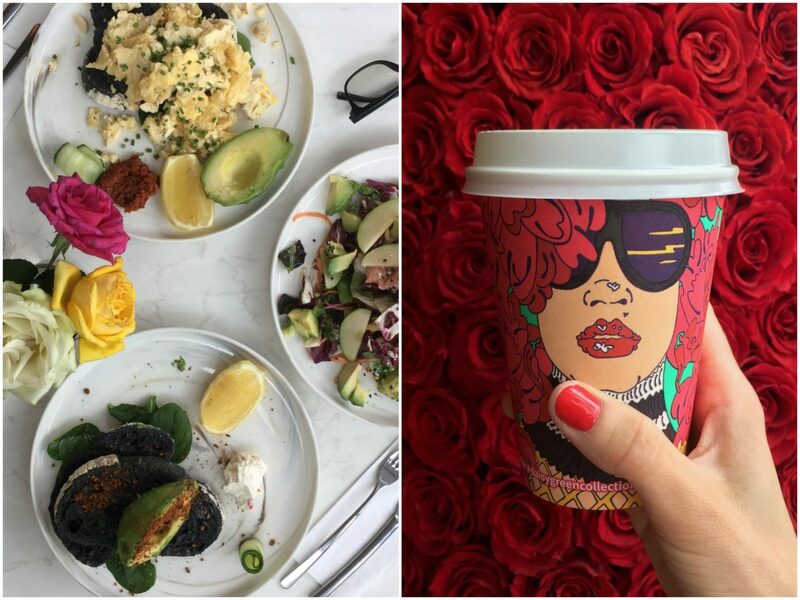 It’s a cute and cozy place not many people know about that offers a wide range of vegan and gluten-free meals. The fresh-looking skin at the David Koma LFW show. So photo-friendly! 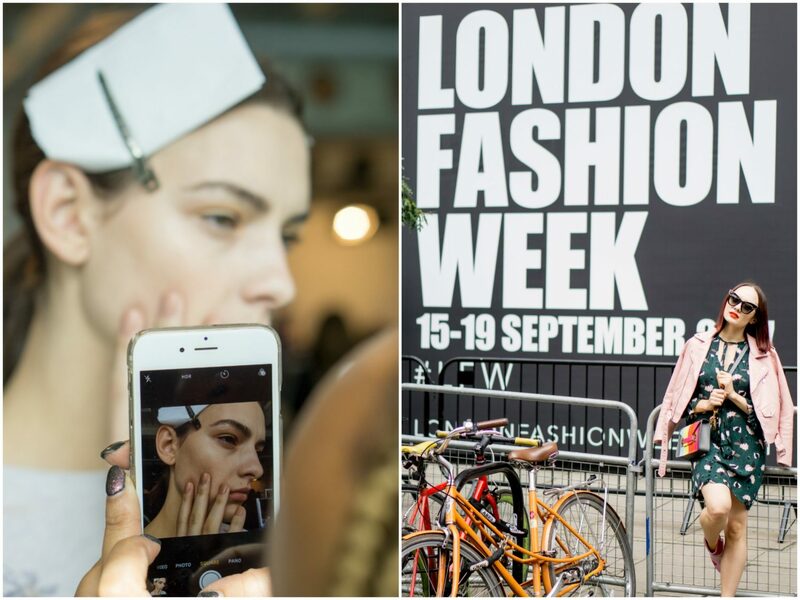 On Monday, I dedicated a few hours to attend London Fashion Week. I was lucky to receive an invitation for Sophia Webster’s show, one of the most beautiful accessory presentations I’ve ever attended. Observing from the “back of the house” how ethereal, fairy-looking girls are preparing for the whimsical presentation, I learned a tip or two on what it takes to turn yourself into a mystical creature. Fairy dust and St. Tropez’s self-tanner is just a part of the equation; check out a full report on what happened behind the scenes of Sophia Webster’s show. Another significant show I had a glimpse into was a runway show by a Georgian fashion designer based in London, David Koma. Together with Amanda Bell, Pixi Beauty’s Brand Ambassador, I learned that runway looks are much more accessible than it might seem. In fact, all the tools for creating glamorous and chic looks are all natural and affordable – just use Pixi! 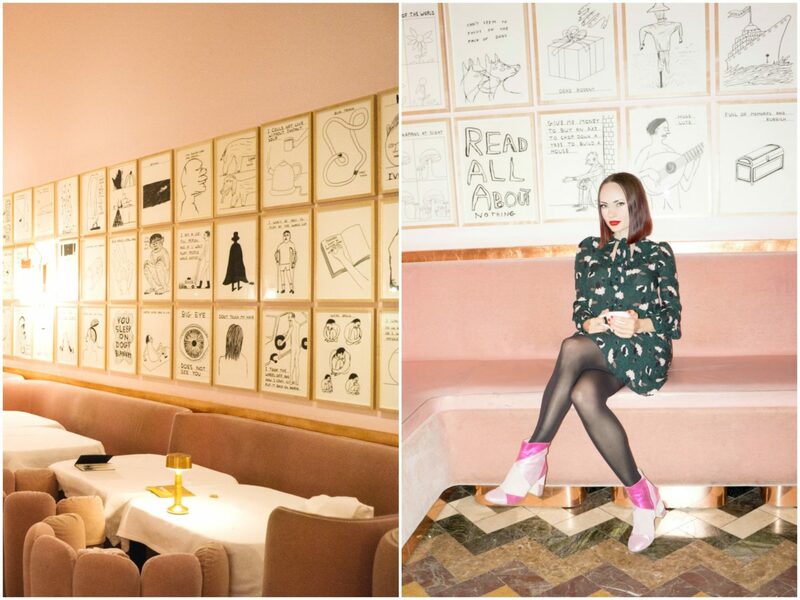 Book your reservation at Sketch online to ensure you have a spot at the Gallery room! 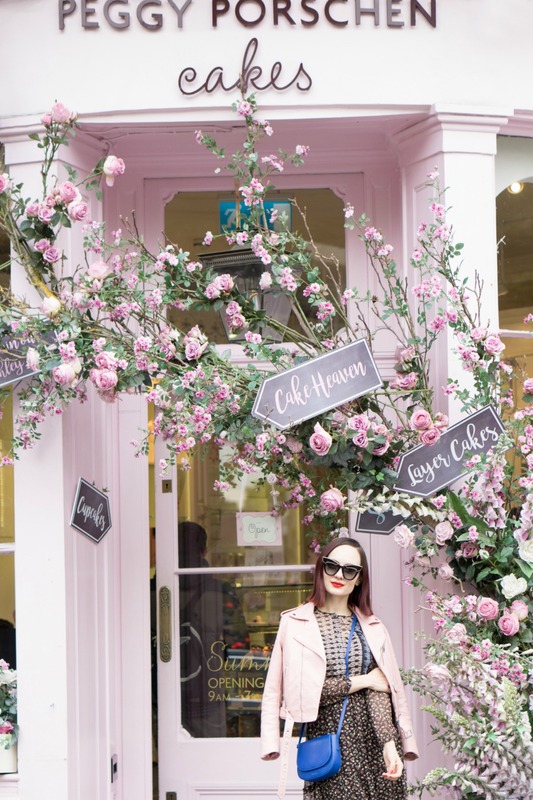 In the afternoon, my blogger dream finally came to fruition when we headed to Sketch, London’s most instagrammable patisserie. Featuring a feminine all pink interiors and futuristic power rooms, this afternoon tea location offers some of the most decadent desserts and sandwich à deux étages that looked too cute to taste. 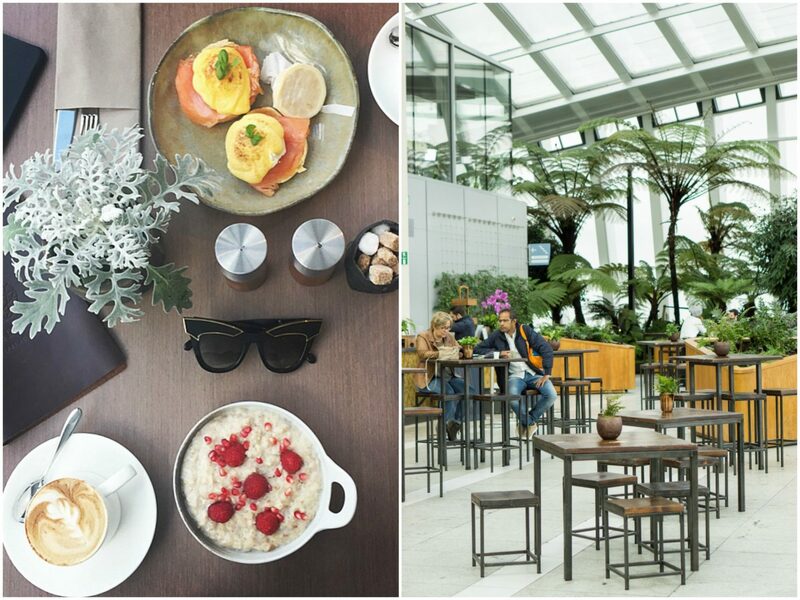 Whether you pick classic tea varieties offering or opt-in for a glass or two of bubbly rose, this ultimately luxurious restaurant is a must-visit spot for any trendsetter or foodie. Heading to the Sky Garden, dress warmly as it’s super windy there! After morning’s adventure, we moved to another hotel, The Rubens at the Buckingham Palace located indeed right across London’s biggest attraction. We spent the day wandering around the Palace, checking out all the acclaimed works at the National Art Gallery, and exploring the Soho. 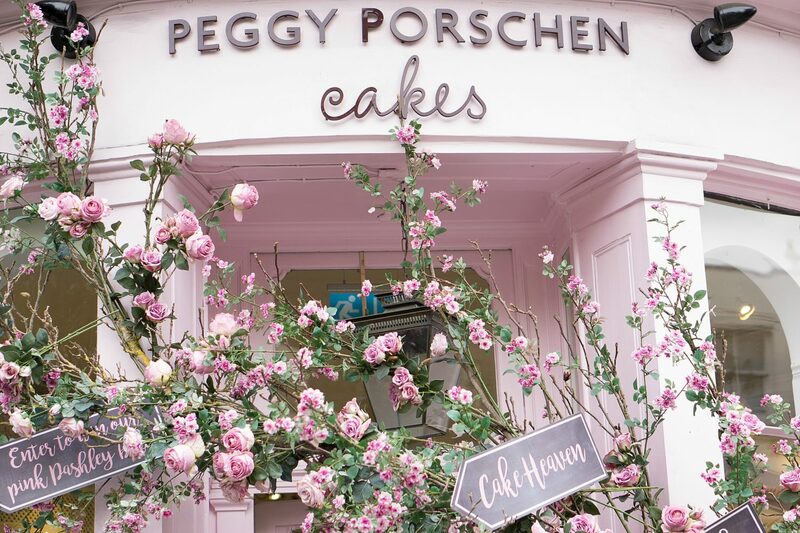 We stopped for a cake or two at another Insta-friendly location, ­­­Peggy Porschen Cakes and called it a day after dining at The Real Greek Covent Garden in Soho. There you have it: a full report on what I saw while in London. Granted, this program was less intense than your typical tourist tour. But that was the idea: to visit only those places we were genuinely interested in as opposed to following traditional tourist routes. Every day, we did thousands of steps exploring all the smaller streets where the locals are hanging out and trying to get to the places that are far away from the classical tourist circle. I think our plan happened to be successful, especially considering that we managed to do so much with the unpredictable London weather.